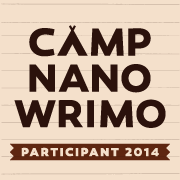 This will be my third official Nano and my fourth Nano experience, since I participated in camp in July. I’d heard about Nano for years, and always had a few friends participate, but I never felt like I had anything ready to work on. In 2012, I got an idea for a romance novel, which was very strange, because that’s probably the one genre I never read. I managed 50k, and had a pretty good time doing it, but realized it was not the right book for me. I was better prepared in 2013 and did some planning for a series I’ve been thinking about writing for at least a decade. I reached 53k words, but realized it would need a lot more work. I spent the next few months completely revising the plot and fleshing out the characters and started writing again in the spring. In July, I made a big push and wrote 90K words. Still not done! At this point, I have about 50K words in new scenes to write, so I hope I can finish this third draft in November. If I finish early, I’ll just get started on the next book in the series. I’m a big fan of #NaNoWordSprints on Twitter, and my fondest memories are of sprinting just about every day with my fellow writers. There’s an incredible sense of community and everyone is so encouraging. 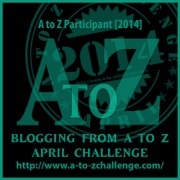 It’s especially great toward the end of the month as participants start hitting their goals. There’s a little celebration every few minutes. I’m completing the third draft of my NaNoWriMo 2013 novel. It’s a fantasy retelling of the 30 Years War (1618-48) and is the first book in a series of four or five. There’s a chance I’ll get to the end of the draft before the end of the month, in which case I’m ready to start on a first draft of the second book. What is your favorite book – you have to pick just one! That is so unfair! I have so many favorite books. But since you insist, I’ll pick Tolstoy’s War and Peace. I’ve read it every five years or so since I was eleven, and I’m always delighted by it and surprised by new things I learn from it. The characters have got to be some of the best ever created. Do not edit while you’re getting your words down for the day. Don’t even go back to fix typos. Once you’ve finished your word count, you can go back and tweak things. But I’d keep even that to a minimum in November. Just get the words on the page. Also consider participating in #NaNoWordSprints on Twitter. You can usually find a sprint partner at any time, and when you’re on the clock, it’s a lot easier to just write and see how many words you can get down. Sneaky Ninja question! What’s your favorite midnight snack? Chocolate in some shape or form, preferably Belgian or German. Though I confess to finishing NaNo last year in the wee hours of Nov. 26, riding the sugar high of a gigantic Reese’s Peanut Butter Cup! I live in a semi-truck! When our two cats let me, I write, while my husband drives. Seeing something new every day provides great inspiration! Thanks, Christina! And I’ll be on the @Nanowordsprints twitter team this November, so look for me there! This entry was posted on Tuesday, October 21st, 2014 at 8:49 pm and is filed under Wrimos. You can follow any responses to this entry through the RSS 2.0 feed. You can leave a response, or trackback from your own site. What a surprising life, living in a semi! You must get inspiration every day. Good luck with your rewrite! My NaNoWriMo interview over at the Kelworth Files! Julia Cameron would say you have a deep, deep well to draw inspiration from! You go, girl!